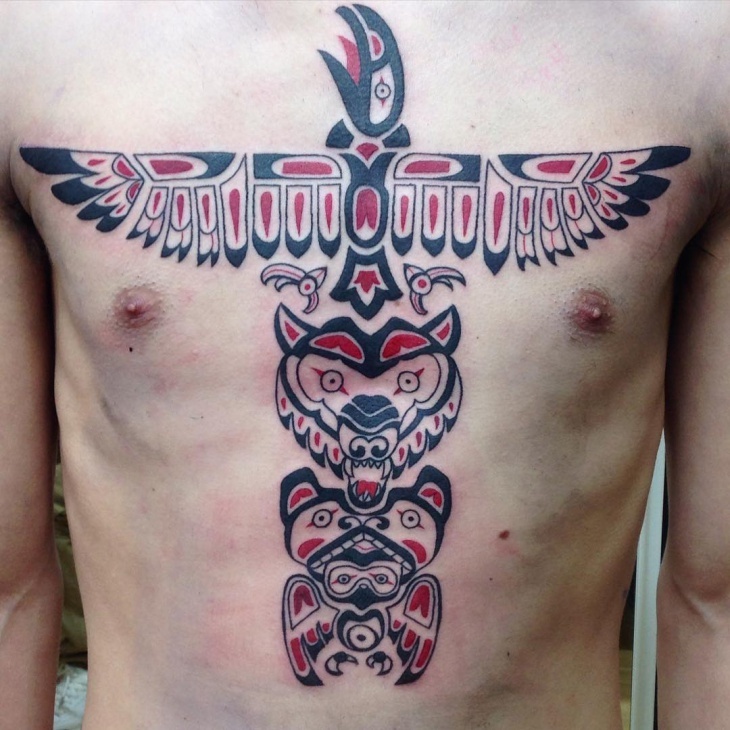 Haida tattoos base their meaning and designs from the rich culture of North America. 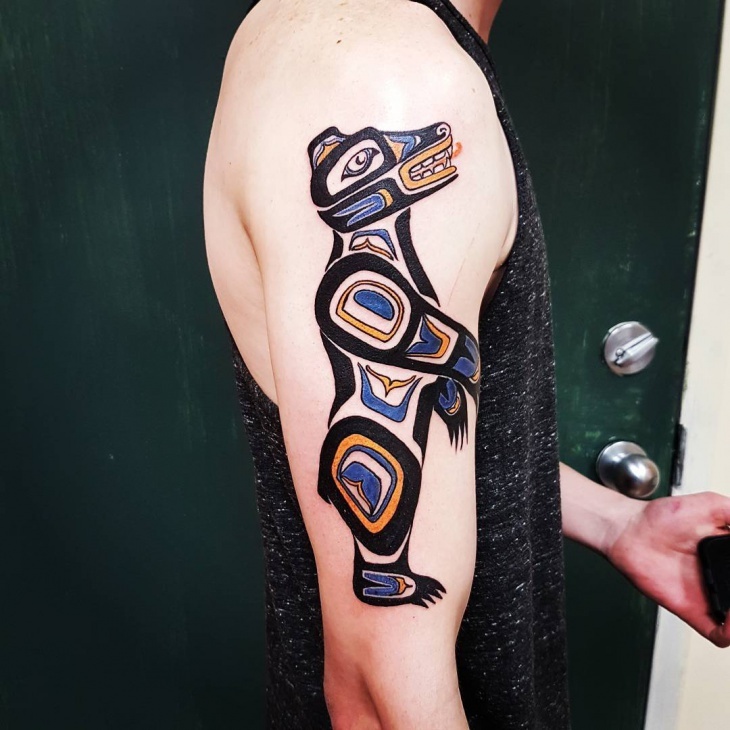 With each unique design based on a different color combination, a Haida tattoo signifies a person’s character. While ancient people used Polynesian tattoos as a form of beauty or spiritual devotion to the gods, Haida tattoos also incorporate different animals to express a meaning unique to each person. So, whether it’s an owl or a bear, there’s a Haida tattoo that will complement your skin tone. Haida culture believes in reincarnation whereby the spirit is in an animal form. Owls are considered sacred according to Greek mythology. 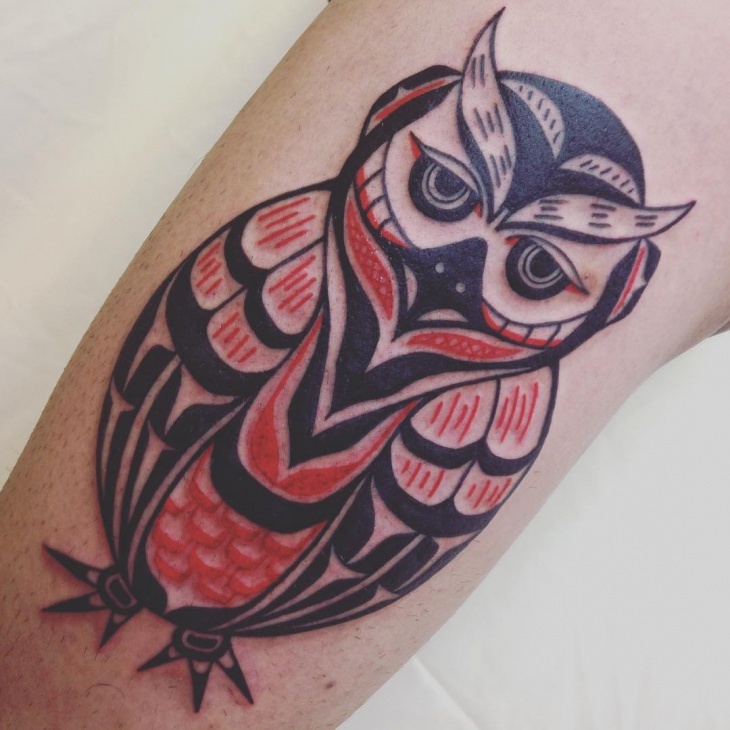 Embrace these cultures by opting for this mysterious owl Haida tattoo design to symbolize status, wealth, mystery and knowledge. According to Native American culture, a bear is a symbol of freedom and power. 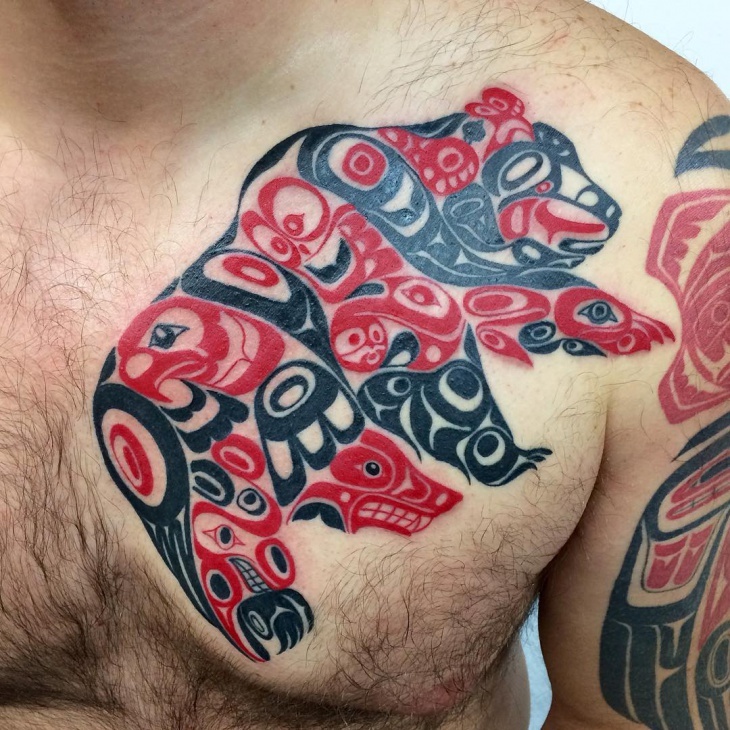 You can opt to represent these traits by getting a bear Haida tattoo. 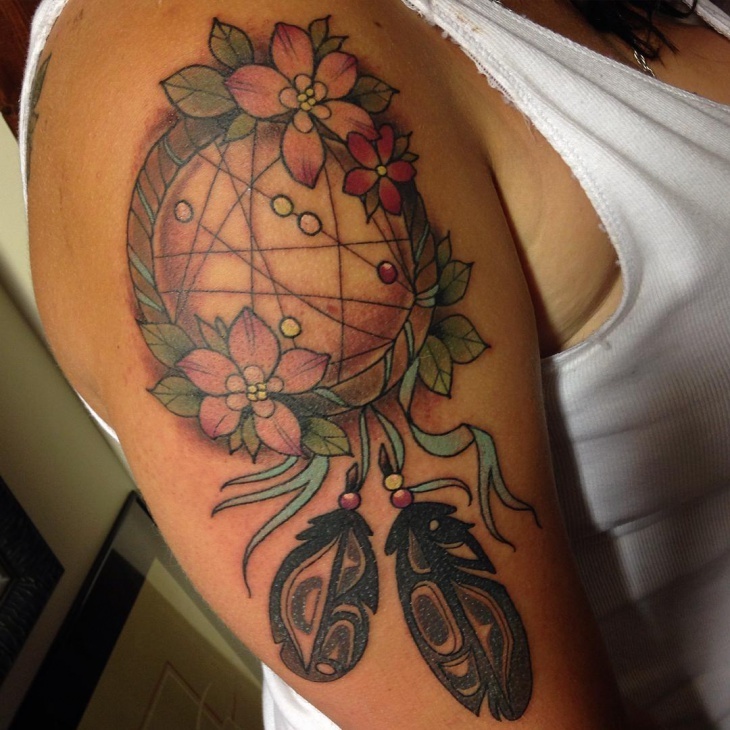 Ladies will love this tattoo because in Haida culture a bear depicts motherhood. Most people are afraid of a wolf due to its sharp teeth. 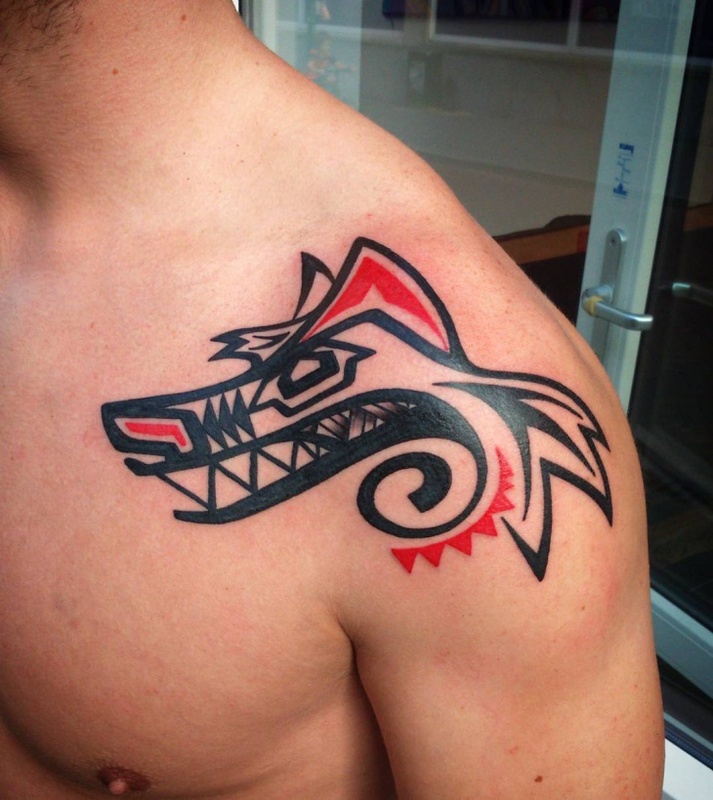 However, when it comes to unique tattoo designs, a well-done wolf Haida tattoo will look good on any man. Get this tattoo to portray intuition, wildness, and intelligence. 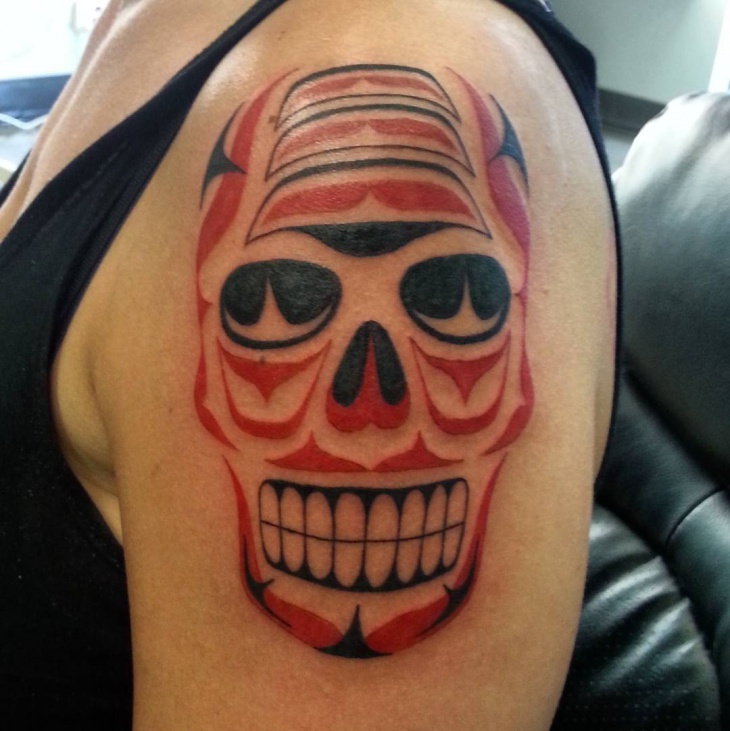 If you admire tribal arm tattoo designs, then you will love this bold Haida armband tattoo. The intricate design and vibrant colors used in this body art will complement a pale skin tone and make you look amazing. Native Americans associate a turtle with good health, endurance, spirituality and long life. To represent these qualities, then go for a cute turtle Haida tattoo. 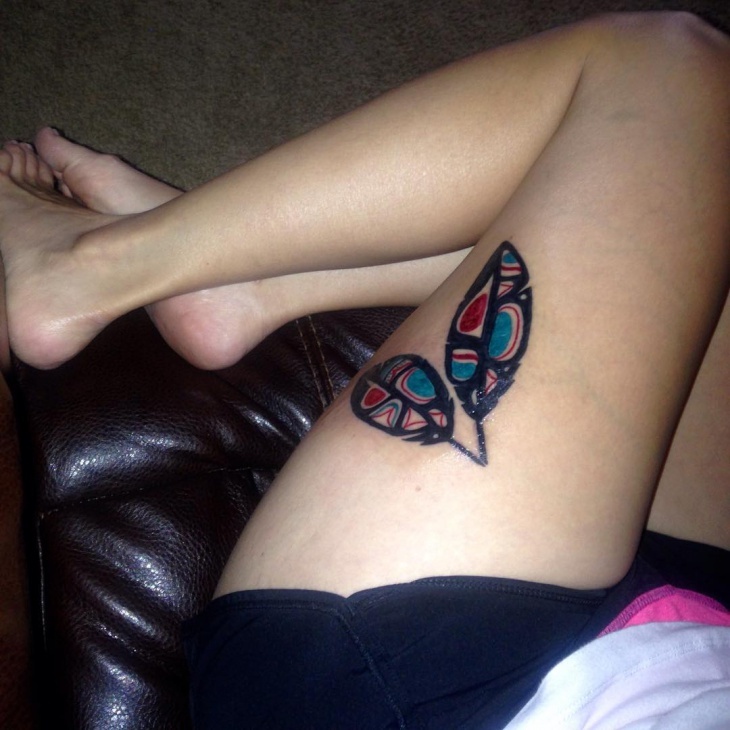 The black and red ink color helps the tattoo stand out. 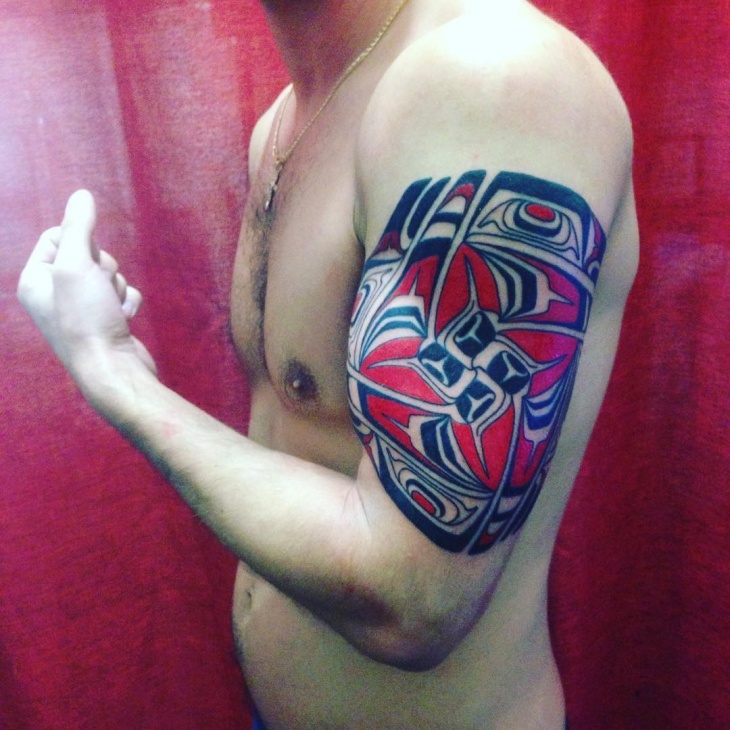 While the meaning of a feather varies with culture, a feather Haida tattoo tends to portray the spirit of a bird. Kokopelli tattoo designs tend to incorporate feathers which symbolize the cleansing power of birds. So use this tattoo to stand out. This crest figure incorporates the sun and beautiful symbols to give a tribal meaning that is unique to an individual. 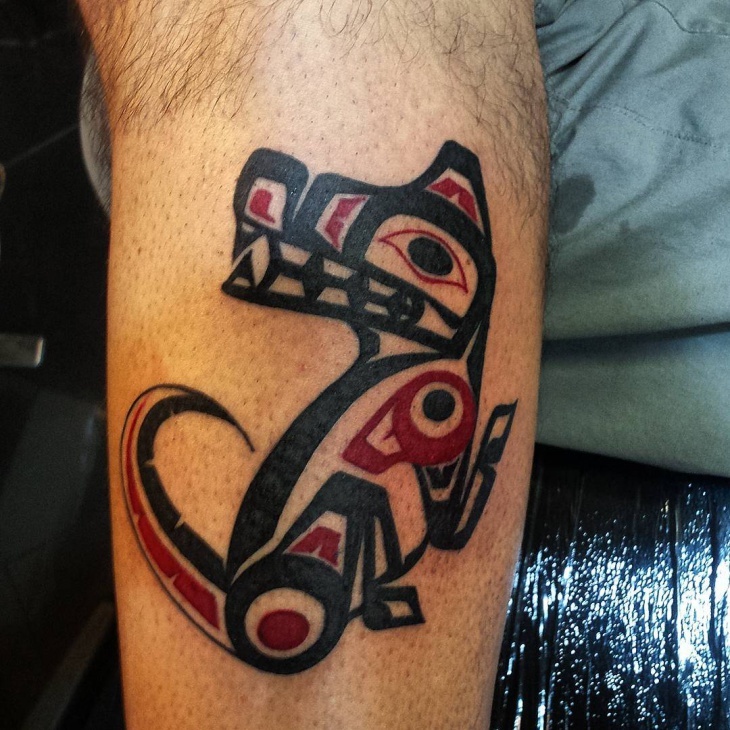 Apart from the bold red color and intense black shading on this Haida tattoo, this design symbolizes leadership and rebirth. 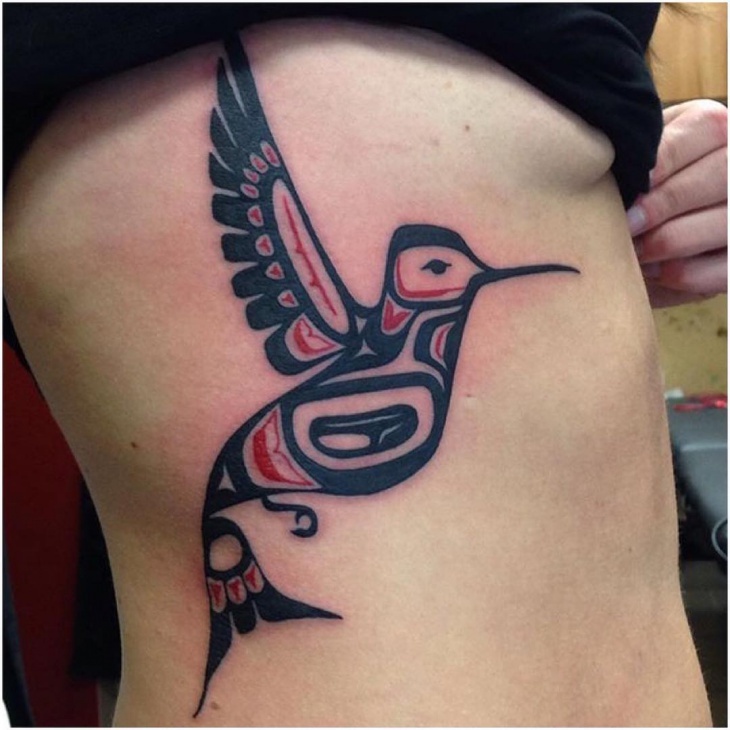 If you’re looking for a Haida tattoo that looks good on either male or female individuals, then opt for this bird Haida tattoo design. 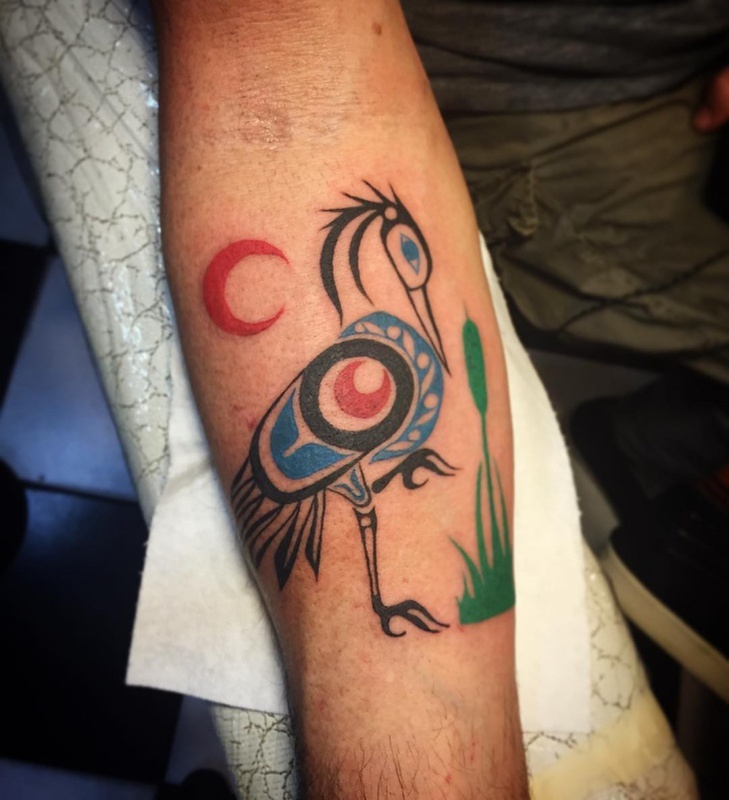 The design is unique making this tattoo cool. Opt for a bird such as a raven or an eagle. Men, if you need to represent your clan, kinship or social status, then this totem pole tattoo design will look beautiful on your chest. This dragonfly tattoo incorporates various animal faces to give the design an edge. 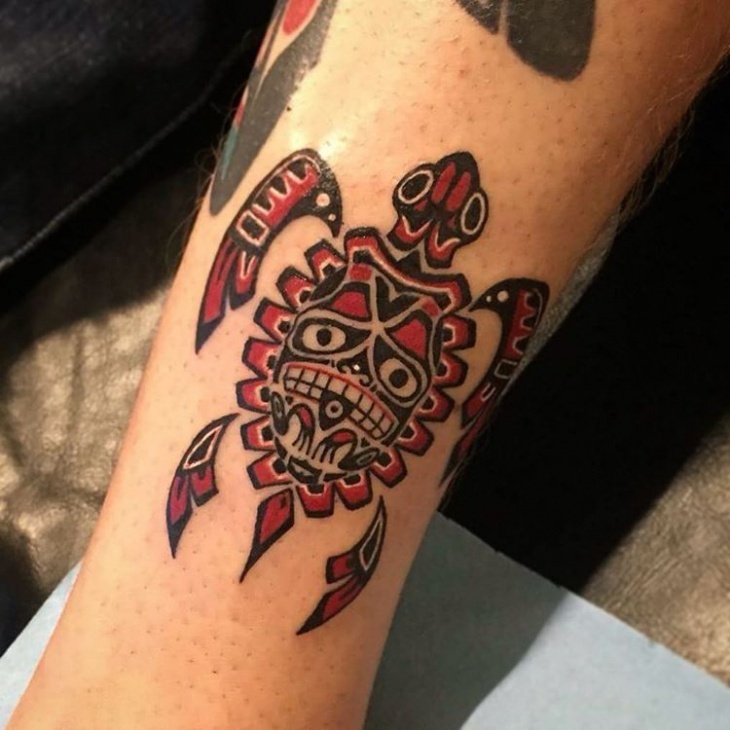 Flowers help brighten up a gloomy day and what better way to portray your fun personality than by opting for this flower Haida tattoo. Girls will love this tattoo because the bold color on the flowers gives it a feminine look. 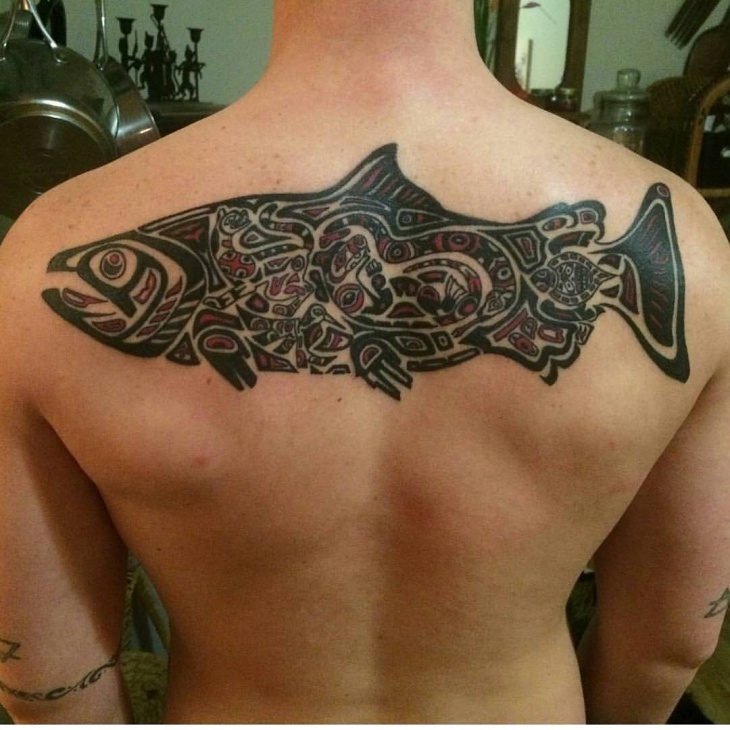 When going for a job interview or any formal event you may need to cover up your bold Haida tattoo. To temporarily cover up your tattoo start by applying a light concealer and then add a foundation that compliments your skin tone. After that apply a translucent powder and add a light coat of hairspray. Wait for about 5 minutes or more before wearing clothes to ensure the coating doesn’t rub off. 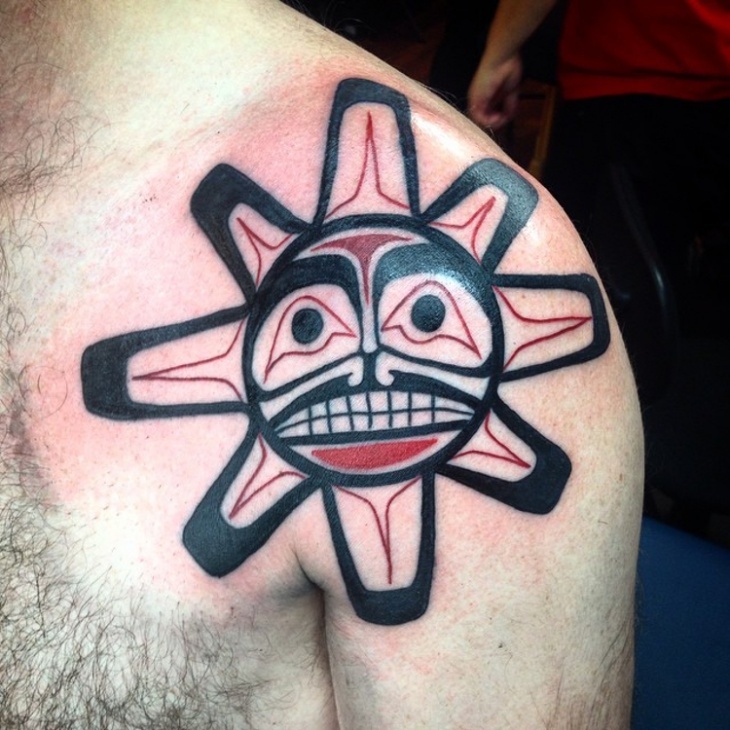 While each Haida tattoo is unique, you can further incorporate other elements such as the sun, an animal or insect to portray your personality. You can also include dates, zodiac symbols or flowers.